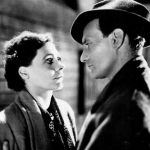 Where is Brief Encounter filmed? Arguably one of the finest British films ever made, David Lean's Oscar-nominated, heart-breaking romantic drama is a must-see. It stars Celia Johnson and Trevor Howard (pictured) as Laura Jesson and Dr Alec Harvey, two married people whose chance encounter in a railway station's café sees them tempted to adultery before realising their marriages are more important than fleeting happiness. Released in 1945, the film was co-adapted by Noël Coward from his own one-act play, Still Life. Coward himself voices the train station announcements.